Thank you to Paul Eichler, Chairman of the Delaware Fire Sprinkler Coalition, for sending us this sprinkler save! On January 14th, a fire broke out at an apartment complex in Plymouth Meeting, Pennsylvania. 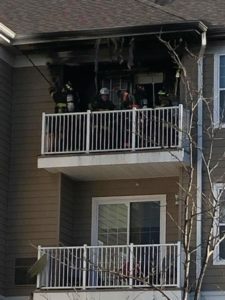 According to the Harmonville, Pennsylvania Fire Department, the fire was quickly contained by the building’s fire sprinkler system before it could spread to other units. Firefighters arrived and finished the job. No injuries were reported.